Professor Layton: The Arcade Game? 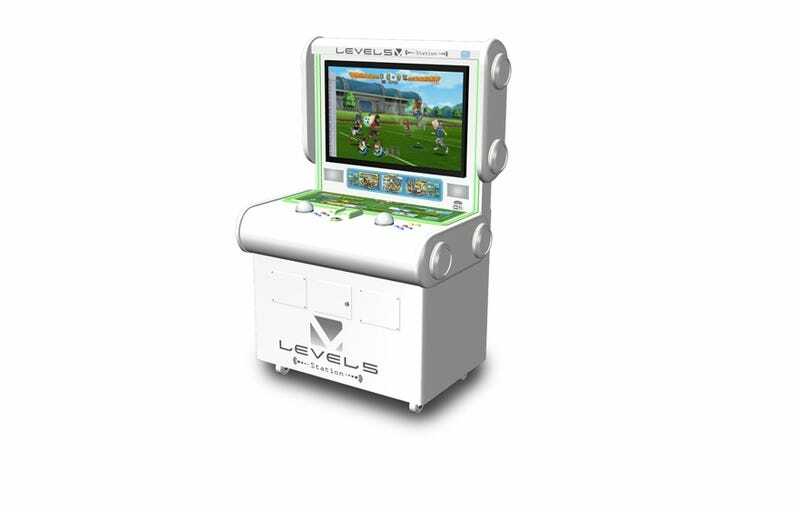 Level-5, the studio responsible for Professor Layton, is working on a new piece of game hardware: An all-purpose arcade cabinet for its games. Dubbed "Level-5 Station", the cabinet will be capable of playing customized versions of Level-5 console games altered specifically for this general purpose cabinet. The cabinet features a 32-inch monitor and the ability to save on IC cards. What's more, the cabinet's on-board Wi-Fi means that players can download items and characters to their portables. The idea is that Level-5 will take its games, perhaps Professor Layton, and then put out Level-5 station versions. First up in 2012 is Level-5 Station Inazuma Eleven: Strikers 2012 Extreme, a tweaked Level-5 Station version of upcoming Wii title Inazuma Eleven: Strikers 2012 Extreme. Level-5 Station will be available across Japan—start date is TBA. One play will cost ¥100 or US$1.30.